GO! No need to hurry, we have 24+ hours to "race"
Leading up to this year’s 24 Hours of Grand Targhee I was excited to measure myself against last year’s result where I truly had a near-perfect race. The men’s solo start list was not long but almost every name belonged to a cyclist who regularly crushes me in local XC events or Hill Climbs throughout the season. Let’s be serious; when we gather for the Tues Night World Championships in Jackson throughout the summer, we all know what the cycling hierarchy looks like and I am nowhere near the top of that list. The key for me, as usual, was to execute my plan and not get sucked into racing the “fast guys”. The Tuesday night before the race JayP and I were riding at night and yackin’ about gear and strategy, as we often do, and he matter-of-factly said “to be competitive at an elite 24 Hour Race you cannot get off of your bike…”. My brain latched onto this little sound bite and quickly filed it at the front. To prepare for this race I had been pulling split times, calculating calorie intake, and basically tweaking and refining last year’s race plan for this year but this casual comment from JayP put a big exclamation point on my plan. “Do not get off of the bike.” This sounds so simple when you say it out loud to yourself but so many things have to go smoothly to be able to pull this off. However, I knew that if I could execute this plan I had a chance to throw down a personal best. I met JayP and T-Race at the Ghee Friday afternoon and we set up the basics in our pit areas to save some time Saturday morning. JayP would be supporting T-Race in her first 24 solo race and Michelle would be supporting me. Being next to each other they would be able to help each throughout the race and share resources. Between the two pit setups, we were pretty dialed in and ready for anything the race could throw at us. I have not been this nervous right before a race in years. I had butterflies the size of pterodactyls doing laps in my tummy before start but luckily once we started racing I settled down quickly and could simply focus on the process of riding my race. As I expected, I was near the back of the pack after the first lap but my lap time was actually respectable which reassured me that the fast guys were at the front going fast. I would have been more concerned to see one of them riding at the back with me actually. Ha! Some people talk about the 3 AM to 6 AM low periods in a 24. I seem to have my worst issues two to three hours into a long race. Sure enough, two hours into the race I had twinges of lower back pain, twinges of inner thigh cramping, and the bottoms of my feet were hot. But this time I was mentally ready for these issues and simply dismissed them by telling myself that they would subside shortly…and they did. It was an early mental victory. It’s getting’ hot in here! Sing it with me. The sun was intense early in the race and by lap #5 I was a bit parched so I requested two bottles per lap for the next few so that I could “bank” a little hydration. I had no trouble getting two 20 oz. bottles down during each of the next several 52-ish minute laps that followed and I think this move helped keep my tummy happy going into the night. It wasn’t even dark yet and I had already been lapped by Carey Smith, Kris Lunning, and Pete Basinger. Doh! Those guys were motoring and I took a quick inventory of their posture and attitude as they went by me at different times. Throughout the first eight laps I was continuously dialing in my process. Where to drink on the course, where to eat, where to save energy, where to expend energy to maximize speed, and which of my two bikes was working the best for me. I was alternating a bit between the Turner Sultan and my newly built Orbea Alma 29er hardtail (JayP’s 2007 frame). I was at least as fast on the Sultan and I felt so much more comfortable on the descents so I decided to ride it from lap #9 onward unless something broke and I needed to switch bikes. Except for swinging a leg off of one of one bike and immediately onto the other, I had not been off of the bike. Michelle, my crew chief, was also dialing it in as well and had things ready before I even asked for them. We were a well-oiled machine at this point. I love the night laps! My Lupine Wilmas are bright and I can ride comfortably at the same pace as when the sun is shining. Lap #11 was my first lap with the lights turned on and I was flowing. The iPod Shuffle comes out at night because I know I will see a rider’s lights behind me when they need to pass unlike during the day when you might not hear them back there. My play list included tunes by Nelly, Big Head Todd & the Monsters, The Crystal Method, Groove Armada, and of course, Metallica. I race better and am faster when I am smiling. Period. So I made a conscious effort to keep the positive energy flowing throughout the race even if I started to feel “blah”. I would sing to my pit crew, I would yell “Party people say Ho!” to the timing tent crew as I rode through, and I would try to encourage any racers I encountered on the trail. Little bursts of positive energy go a long way. Through midnight, I had only been off of the bike once to take off my shoes and change into warmer socks and add knee warmers. My typical pit stop looked like this: skid to a stop in front of the pit, straddle the bike, Michelle handed me a new bottle and gel while I shoved a small bite of whatever seemed yummy at the time into my mouth, JayP and/or Mike Piker would lube the chain and wipe it down while all this was going on. Done. Go. It was really motivating to hear the pit crew tell me I was doing great and to keep it up and I wanted to reward their efforts with a great performance. A key part of my plan was focusing on the process and not the result. I always tried to focus on the lap I was riding at the time and the most efficient way to finish that particular lap. During one lap, about 2 AM, I had some blurry vision, was having a tough time staying on the single track and I was hitting every stupid rock that I looked at in the trail. In a sort of out-of-body way, I calmly self-diagnosed my issue as being low on calories and the next time through the pit I ate an extra piece of bagel with PB, some M&Ms, and took a couple extra swigs of flat Pepsi and I was back on track almost immediately. It was during these early morning hours that I started seeing some familiar faces again. For the first time in the race, I was passing other solo riders and even a couple of duo team riders. There were also a few solo’s bikes hanging in their stands along pit row that hadn’t been there earlier which meant that I winning the war of attrition. I had only been off of my bike three times total; #1 - adding layers, #2 - switching batteries and changing shoes, #3 - and then removing layers and changing shoes. Once the sun came up and the lights came off I started to pay a little more attention to who was still riding and who was riding well. Carey Smith was riding like an alien every time I saw him but I kept telling myself that this is a 24 hour race and anything can happen. I also knew that Pete B. was lurking out there and that he would not stop or slow down. Otherwise I continued to stay on the bike through the pit stops. It wasn’t until about 9 AM that I knew I had a very solid shot at 2nd place but that Pete B. was still bringin’ it. The 25th lap hurt a bit so when I headed out for lap 26 I asked my wonderful pit crew for the secret weapon…my 20 oz. bottle of de-fizzed Pepsi + a 20 oz. bottle of plain H20. I managed to drink all of it and mentally rallied for one more lap. The day before the race I had jokingly told JayP that I would be finishing my 27th lap at about 12:40 PM on Sunday…man, was I close. When I crossed the line at 12:03 PM with 27 laps and 2nd place secured, a wave of emotions came over me and I collapsed in Michelle’s arms. I truly had the race of my life and having Michelle and so many great friends take part in it made it an experience I will never forget. My support was off the charts this year and I couldn’t have done it without all of your help and encouragement. Michelle (wife, best friend, crew chief), Tina, JayP, Mike Piker, Chris E. (3:00 AM surprise appearance!) – thanks for your help throughout the race. Lynda, thank you so much for your wisdom, guidance, and encouragement. As I sit here typing, the tips of my fingers might be the only body part NOT sore. I had the race of my life and a full report is warranted. T-Minus 3:15:00 hours. Yeah baby! Jill, T-Race, JayP, and myself met up at the Phillips TH at 9 PM for a pre-Targhee shakedown ride with the lights. The Arrow Trail is even more fun at night than it is during the day. Jill is racing duo-coed with Gabe "50 Cent" Klamer and they will definitely make a run for the top podium spot. JayP also confirmed that many of Jackson's freaky-fast guys have signed up to race 24-solo. And who knows who will show up from outside the area? Can you hear that? That is the sound of the diesel warming up. 3 days, 23 hours until 24 hours of racin' in my backyard begins. I am mentally preparing for battle this year as several formidable foes are rumored to have entered the solo male division. You never really know who the competition will be until you line up at the start line but it really doesn't change anything for me. My race will be the result of my own execution and not how fast the others go out. Staying positive is a big key for me and the iPod Shuffle will definitely come out after dark. If you see me off the bike at the top of a climb, don't be alarmed. I might just be gettin' my funk on like my homie Albert. My goal for the week is to simplify things so I can shut the brain off at night and get some quality rest leading up to the Big One. The past week was a blur of work, training, bike projects, selling our 2001 Chevy Tahoe, replacing it, and getting marginal sleep as a result. There are still a few bike-related things to do before the race. Huge congrats to Dave & Lynda on their 3rd place in the Open Mixed Cat at Trans Rockies...ON FRIGGIN' SINGLESPEED...while everyone else rode with gears. Uuuuuunbelievable. Going into Saturday's planned 6-hour ride I was already a bit cooked from the previous week of hard riding and wasn't sure how I'd feel. Hooking up TraceyP and J9 for a tour of new-to-me trails was energizing and I got stronger as the day went on. I have to admit, the ladeez were crushing me on the initial climb and only an hour into it I was questioning whether I could keep up with them for another 5 hours. Luckily I finally warmed up and the diesel kicked in. The ladeez were rocking the techie descents all day long. Watch out for TraceyP & J9 at the 24 Hours of Targhee! The new Arrow Trail is wonderful! Huge thanks to the Boy Scouts. Sunday was a work day on the Moose Cross course. Thanks to Eric, Jeff, Pete, Bergy, JayP, Amanda, and Nate for the help. The course is shaping up nicely and now needs a little moisture and some rolling/packing to firm things up. We removed a lot of rocks and cut in a new section connecting two key features on Sunday. I have decided to pass on the Butte 100 this weekend. I would really like to support this race given how close it is to me but I feel like the smart move is to stay home and focus on quality training for the 24 Hours of Targhee. I have riding some new 29" tires and I really like them so far. The Schwalbe Little Alberts weight 600g on the nose. They were a little finicky to seal up with Stans but they are holding air well now and I am riding them at 30 PSI front and 32 PSI rear. The cornering seems a bit better than the Racing Ralphs and grip in the loose stuff is way better. The widely spaced lugs will probably shed mud well too but I haven't ridden in mud yet with them. We have a new addition to the family. Colter came home with us last night after a great trail ride up Moose Creek. So now our mare, Peso, has a buddy. Colter is a 5 year old gelding and is very mellow and wonderful to ride. After losing our other mare, Serena, last fall we have been thinking about getting another horse and luckily our friend Joanne wanted to sell Colter. How did this one slip past my radar? 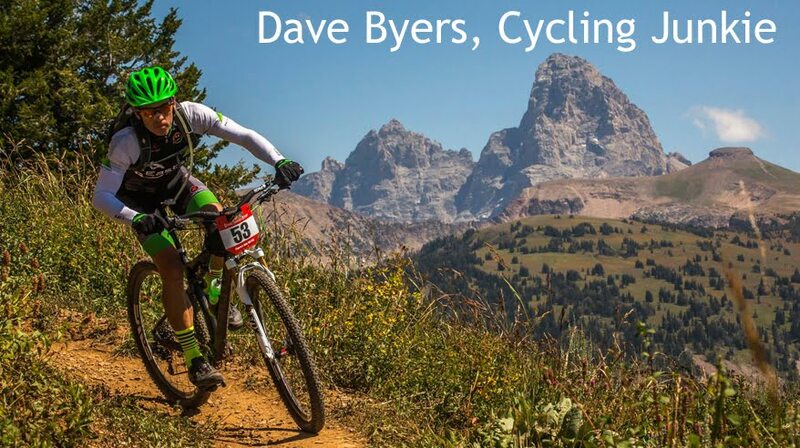 The Butte 100 - a 50/100 mile race only 4 hours north of me. Hmmm. I took three days off after the Laramie Enduro and have ridden every day since but nothing too hard. I didn't make the mistake of going hard too soon this time and I feel pretty good.